Located inside the Treasure Island hotel, Gilley’s Saloon combines the energy of Las Vegas with the excitement of the Wild West. Put on a pair of cowboy boots and get into the spirit with line dancing, mechanical bull riding, karaoke, and live country music. The Saints & Sinners Vegas Crawl will guide guests up a unique spiraled staircase and into the Chateau Nightclub within the Paris hotel. Inspired by the City of Lights, the Chateau Nightclub features Parisian chandeliers and sky-high vaulted ceilings. At the center of the club is the dance floor, which is surrounded by private VIP seating and close to the DJ booth, which sits atop an incredible 10-foot marble fireplace. There’s no other place on the Strip that combines the glitz and glamour of a French castle with the undeniable energy of a nightclub! The Sky Lounge 107 is nestled high in the clouds at the top of the Stratosphere Tower, which is nearly 1,150 feet tall. This venue is known for its mesmerizing 360-degree panoramic views of the city below. Even though guests may come to see the sparkling lights of the city from hundreds of feet in the air, they stay for the food, drinks, and entertainment. Award-winning bartenders shake and stir some of the best drinks on the Strip, including the Dirtiest Martini that is loved by martini aficionados everywhere. Party late into the night with appetizers from the Top of the World restaurant and beats from some of the Las Vegas’s most talented DJs! The Tao Nightclub inside the Venetian hotel is one of the most popular and well-known nightclubs on the Strip. The 10,000 square foot club has three full-service bars, two main rooms, a spacious outdoor terrace, and private skyboxes for VIP guests. For over 10 years, Tao has been the go-to nightclub for people ready to dance the night away to music curated by world-famous DJs. Expect to hear a mix of hip-hop, pop, and electronic music blaring from the state-of-the-art sound system. You may even find yourself sharing the dance floor with A-list celebrities that frequently visit Tao! Everyone on the Strip dreams of partying at Tao, which is why it can be hard to get inside. But, getting in the doors of the most iconic nightclub in Vegas won’t be a problem for guests on the Saints & Sinners Vegas Crawl! Walk through the discreet revolving doors to enter Surrender, an intimate nightclub located in the Wynn hotel. The design of Surrender is impeccable, with plush seating and a signature 90-foot snake over the back bar that serves as a reminder to guests to surrender to temptation! Some of the most sought-after DJs can be found entertaining the crowds at Surrender, including Diplo, DJ Snake, and Dillon Francis. Heat things up on the dance floor, then cool off in the outdoor area of the club, where you can keep the party going alongside luxurious poolside bungalows and cabanas. The Foundation Room, which sits on the top floor of the Mandalay Bay, is the perfect venue for people who are looking for a sophisticated night out. This isn’t a traditional club where you spend the night sweating on the dance floor, but rather a space where you can sip specialty cocktails while mixing and mingling with other guests. 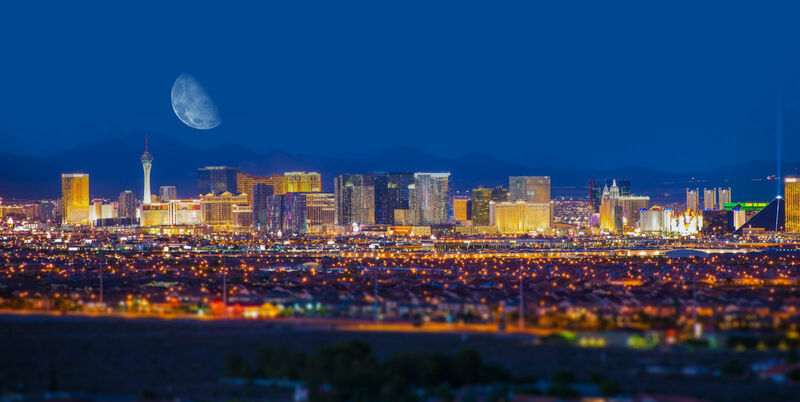 This venue has it all—an engaging atmosphere, bottle service, and unparalleled views of the Strip. While you strike up conversations with other guests, the live entertainment in the form of DJs, comedians, or celebrity hosts will keep the party going all night long! The journey to the VooDoo Lounge inside the Rio hotel begins with a trip in a glass elevator, which gives guests an incredible view of the Strip as they make their way to the rooftop nightclub. The mysterious vibe can be felt in everything from the candle décor to the names of the specialty cocktails, which include Love Potion and Witch Doctor. Grab a drink and head to the dance floor so you can dance underneath the stars of the night sky. If the dance floor is too crowded, travel down the steel staircase to get to the second floor of the club, which is just as full of mystery. 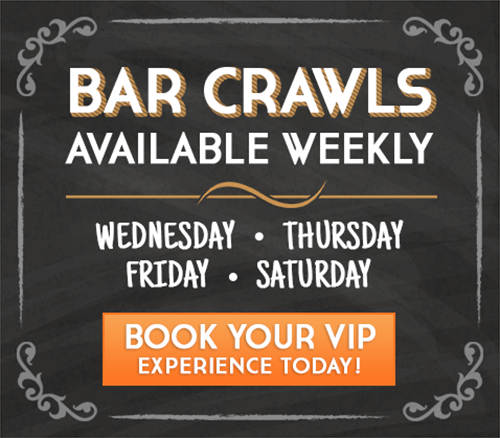 To learn more about tour options or to book your spot on an upcoming crawl, contact our concierge by calling 702-350-9503 today.